A United States congressman is visiting the Caucasus in a show of support for Georgian and Azerbaijani efforts to create alternatives to Russian energy for Europe. The visit appeared to be a standard congressional visit to the region, with the requisite nods to “energy security” and a visit to the de facto South Ossetia border with Georgia proper. But the fact that the congressman was Devin Nunes, a figure recently notorious in the U.S. for his efforts to shield President Donald Trump from investigations into potential Russian collusion, gave rise to a variety of conspiracy theories. “Where in The World is Devin Nunes? In Azerbaijan Witness Tampering,” speculated the Daily Kos, a home for the self-styled #resistance to Trump. The allegation was related to the role of Emin Agalarov, the Azerbaijani-Russian pop star who brokered a meeting between the Trump campaign and Russians who promised to provide dirt on his competitor in the 2016 presidential election, Hillary Clinton.If that was in fact Nunes's mission, he didn't let on. And his cover story was at least consistent with his many colleagues who have made similar trips over the years. 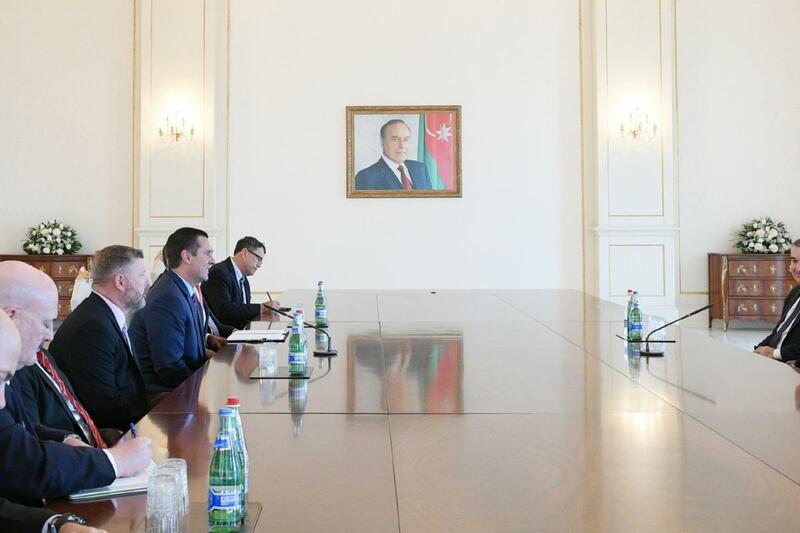 In Azerbaijan, he met with President Ilham Aliyev (Agalarov's ex-father-in-law, incidentally), with whom he discussed “the successful development of the bilateral relations between the Republic of Azerbaijan and the United States of America in political, economic, energy and security areas,” according to local media. In Georgia, he met with Prime Minister Mamuka Bakhtadze. “We hope that trade & economic relations w/ US will be in parallel w/ our robust political cooperation,” Bakhtadze tweeted afterwards. One focus of Nunes's visit appeared to be the Southern Gas Corridor, meant to transport natural gas from the Caspian Sea to Europe in an effort to weaken Russia's market share. “The only way we'll ultimately take on Russia is to say, look we're not going to be reliant on you for our energy,” Nunes told Fox News. Those are words of support sure to win hearts in Baku, but Nunes also has a long record of supporting Armenia. He has signed on to a number of open letters in support of Armenian causes recently, including one asking for an increased U.S. aid package for Armenia and Nagorno-Karabakh, the territory currently controlled by Armenian forces that Azerbaijan considers illegitimate. Nunes also signed a letter in April asking Trump to recognize the Armenian genocide.